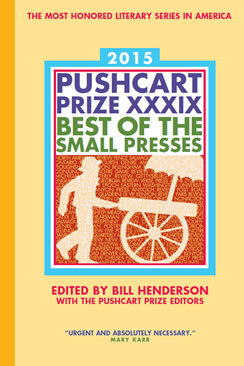 At AWP in Minneapolis, several people came up to me at the Press 53/Prime Number Magazine booth to tell me how much they appreciated the Pushcart Prize Literary Magazine Rankings I compile each year on this site. (If you’re not familiar with the rankings, click on that link, check it out, and come back.) I was really pleased to hear those comments. I do think the rankings are a valuable tool for writers who are submitting their work to magazines, so I’m happy to hear from users of the lists. Some people put little stock in rankings, and in many areas I respect that view. It doesn’t matter what the rank of a magazine (or college, or MFA program, or whatever) is if it is a good fit for you. That’s still the most important question writers have to ask themselves when submitting their work. But a little guidance doesn’t hurt, and that’s where the lists come in. On the other hand, the lists are really only the tip of the iceberg. There are thousands of magazines out there, both print and online, that are NOT on the lists. What about them? For example, the magazine I edit, Prime Number Magazine, is not on my list. I think we have a pretty good magazine, and we’ve achieved some recognition, but we have yet to win a Pushcart Prize or a Special Mention. So, according to the list criteria, we aren’t ranked. So I’m glad writers find the list useful, but we all need to think outside the list when looking for the perfect venue for our work. The list is a tool. If you find it helpful, I’m glad. I always tell my students at the Writer’s Center about your list and tell them to make a donation or buy and read your books. It’s enormously helpful. It’s made the submission process so much more approachable for me. Thank you!! Thank you! And I love The Writer’s Center — I took a couple of workshops there in the ’90s when I lived in DC.